Explicit Yes But Why ep 148 Ben Corbett helps you free your voice! 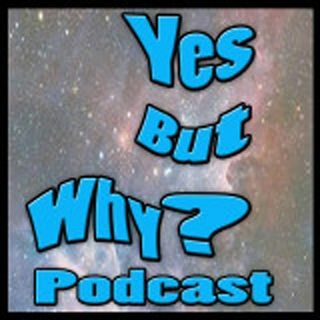 This week, Yes But Why Podcast features voice instructor and theater artist, Ben Corbett. Ben Corbett is the kind of man who wants to help you be your best self. Ben’s call to teaching vocal work is about helping his students liberate themselves, about helping them define their own version of success. In this interview, Ben talks about what being a performer is really about. Creativity is a lifelong journey and Ben helps to see what work is needed for his students to be the best artist they ... See More can be. Amy and Ben know each other through their alma mater, University of Dallas. Ben, like Amy, attended UD for undergrad and they connected on the alumni page for drama majors and the rest is history*. (*history = this interview) Listen in as Ben shares stories of Shakespeare, Kristen Linklater and the Equality Center in Tulsa.